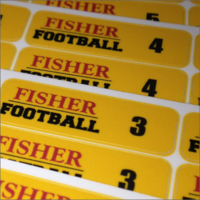 You can use our labels for sports equipment for player and coaches clothing items, pads, sticks, footwear, water bottles and clipboards. 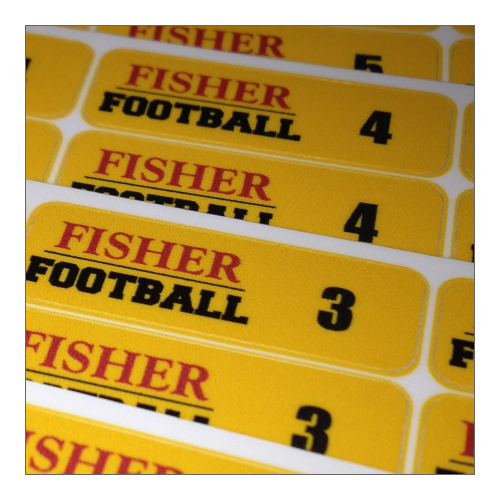 Our custom sports equipment labels are the perfect choice for your team or player. 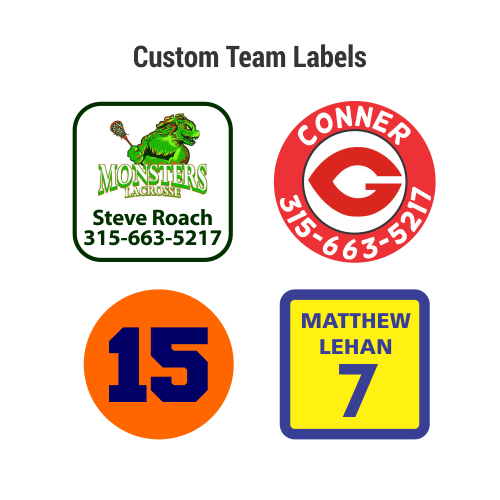 We can make labels any shape, size and colors with your logo or mascot. 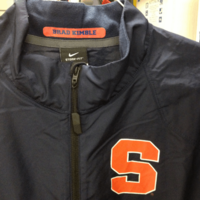 Syracuse University sports teams use our labels for their clothing and equipment so you know they're rugged enough for you! 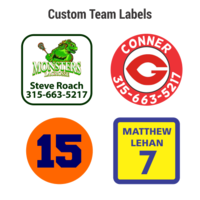 Teams & Players - We'll create custom labels for sports equipment for your coaches and players. You provide us with a list of your players names and we'll take care of the rest. It's that easy. 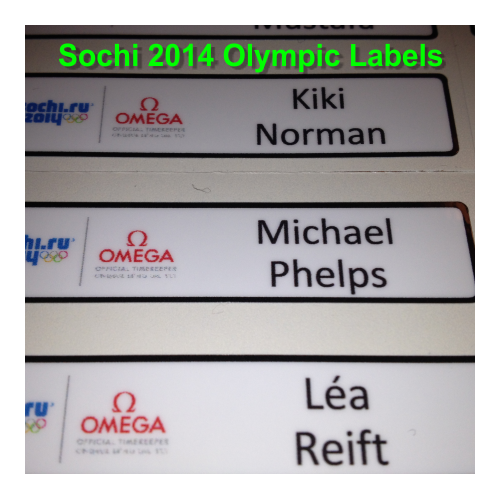 Call us today to get a quote on your sports labels at (315) 627-0524. If you already have artwork, you can send it to steve@idmlabels.com. Our response time is lightning fast and our turnaround time is the best in the biz. 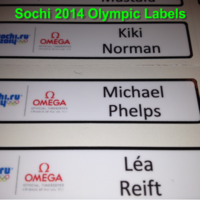 Just need sports labels for your athlete? 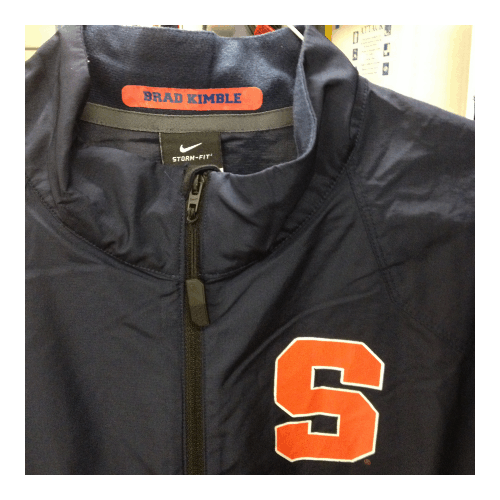 You might be interested in our Sports Label Pack!